Iran is exerting considerable pressure on the Iraqi government to compel it not to abide by the US sanctions that have been imposed on Tehran in order for it to change its policies in the Middle East and abandon its nuclear program. These pressures include using the Iraqi dinar and Iranian rial in the trade exchange between the two countries. Iraq serves as Iran’s economic lifeline, and Iran has great influence in the political and economic decision-making process. In addition, it uses the Iraqi territory to achieve its interests in the Arab region by supporting fighters loyal to Bashar al-Assad’s regime in Syria. This comes despite reservations expressed by some Shiites who recently set the Iranian Consulate ablaze in the city of Basra. During demonstrations against the rampant financial and administrative corruption, protesters chanted slogans calling on Iran to stop its interference in Iraqi affairs. The Central Bank of Iran is struggling to reach an agreement with Iraq on the use of the dinar or the Iranian rial for trade with Iraq, but Iraq needs the approval of the United States, which is still determined to allow Iraq to only import natural gas from Iran for electricity supply for only a short time. The source added, “The delegation failed to achieve good results, and it only allowed Iraq to buy Iranian gas for its power plants in return for the dinar. The government pledged to do so and opened an account for the Iranian company at a government bank in the dinar currency." “The United States is working to enable Iraq to exploit gas for the production of electricity, all the while putting an end to dependence on Iranian products and goods,” the source added. While the US dollar is still used for trade between Iraq and Iran, all transfers are made outside the Iraqi banking sector through foreign brokers or banks in Syria and Lebanon. The dollar is also being smuggled through primitive ways in southern governorates. The vast majority of trade between the two countries is comprised of Iranian exports to Iraq, so Tehran would likely prefer euro or rial-based transactions. Al-Monitor has repeatedly tried to get the Central Bank of Iraq to comment on the use of the dinar and the rial in trade between Iraq and Iran, but to no avail. 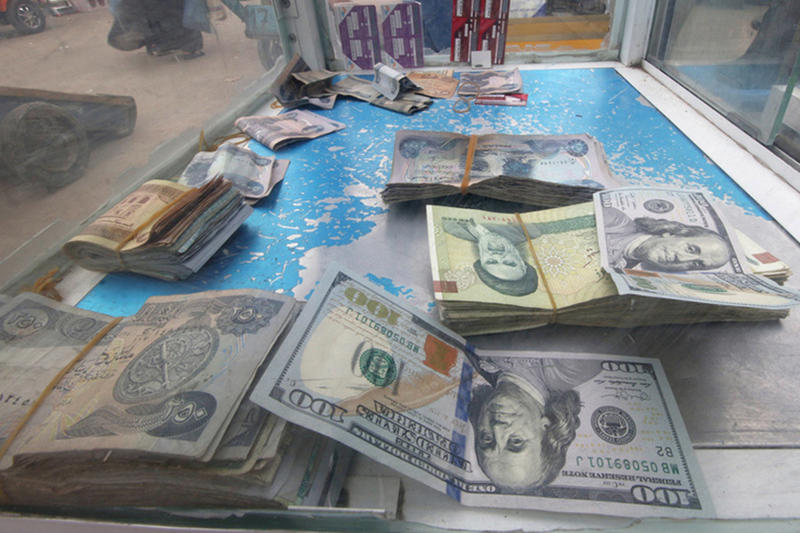 The source noted, “The Central Bank also refused any cooperation with Iran aimed at converting the Iranian rial to the US dollar,” stressing that the Central Bank of Iraq even refused to sell the dollar to Iraqis wishing to visit Iran in order to dodge any sanctions that could hit the banking sector and financial sanctions. Following the latest amendment to the draft budget of 2019, which is being discussed by the Iraqi parliament, the Iraqi government reduced allocations for the import of electricity from 424.6 billion dinars (roughly $357 million) to 70 billion dinars (roughly $59 million). This means that Iraq will no longer buy electricity from Tehran, and this may spark popular protests similar to the ones that erupted in several provinces after Iran cut off its electricity supplies to Iraq last summer. “Using the dinar in trade with Iran will lead to an increase in the value of the Iraqi dinar due to higher demand, especially considering that the trade exchange between the two countries reached $8 billion in the past eight months,” freelance researcher and writer Ahmed Hathal told Al-Monitor. Annual Iranian exports to Iraq account for more than 22% of the total Iraqi imports, which exceed $35 billion from several countries. The private sector pays for these Iranian goods either through dollar transfers made by exchange companies or through means not accredited by the Central Bank, or by simply transferring cash by car. It is also very difficult for Iraq to ban the dollar due to the Iranian hegemony over the authorities.